Habitat for Humanity NYC has officially completed their Dean Street Residences in the Brownsville neighborhood of Brooklyn. 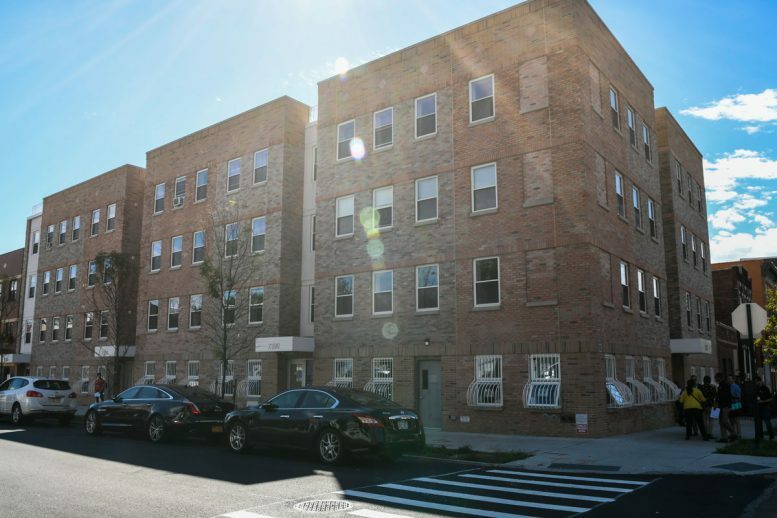 Located at 203 Mother Gaston Boulevard, apartments are now available to individuals and households earning 50-80 percent of New York City’s average median income. The non-profit organization celebrated the milestone in a ribbon cutting ceremony on Saturday, September 22nd. Several board members, volunteers, homeowners and elected officials came out to support the completion of the project and celebrate the exciting milestone for Habitat NYC and families moving into affordable homes. Attendees included New York State Senator Roxanne J. Persaud and New York State Assemblywoman Latrice Walker. The four-story building contains 15 two-bedroom apartments that will only be sold to first-time home buyers who are required to invest a minimum of 250 hours of “sweat equity,” referring to the hours of labor homeowners dedicate to building their homes and the homes of their neighbors. In total, 2,167 volunteers devoted 19,518 hours to the construction, finishing, and beautification of Dean Street. Amenities include a landscaped rear yard and on-site laundry facilities. In addition to low-cost housing, residents also enjoy lowered utility costs due to the project’s status as an Enterprise Green Communities building. The completion of Dean Street Residences was made possible through collaborative financing from the New York State Affordable Housing Corporation, the New York State Housing Trust Fund, and the Brooklyn Borough President’s Office, among all partners. The residences are designed by local design firm OCV Architects. 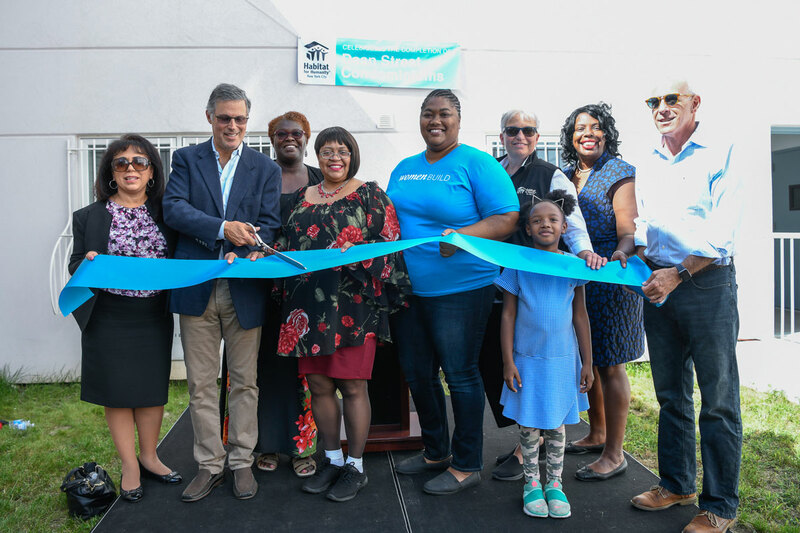 The afternoon-long ribbon cutting celebration brought together new homeowners, government officials, volunteers, donors and Habitat for Humanity staff. 2 Comments on "Habitat for Humanity Completes Dean Street Residences at 203 Mother Gaston Boulevard in Brownsville, Brooklyn"